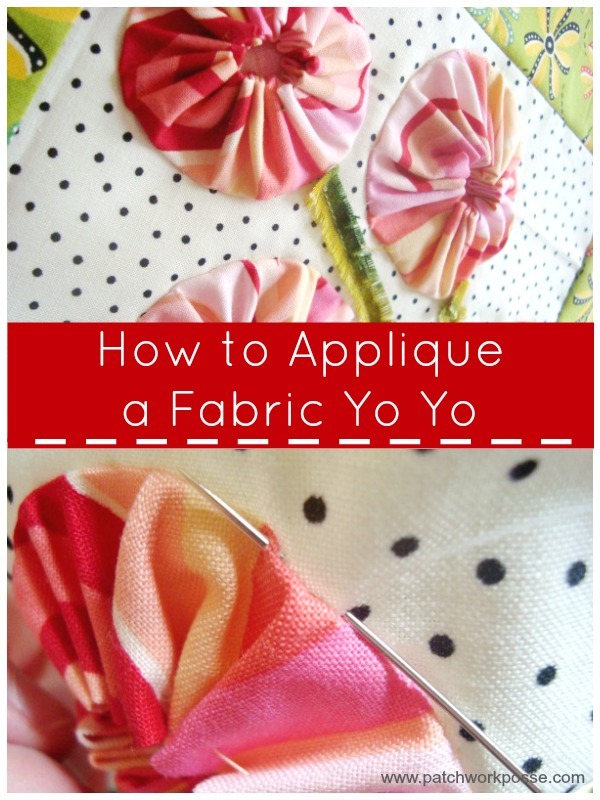 Today we will be going over a pretty simple and basic technique- How to Applique Yo-yo’s. It’s Springtime around here and the flowers are starting to pop out of the group, and the warm sun is out and shining. I love this weather! 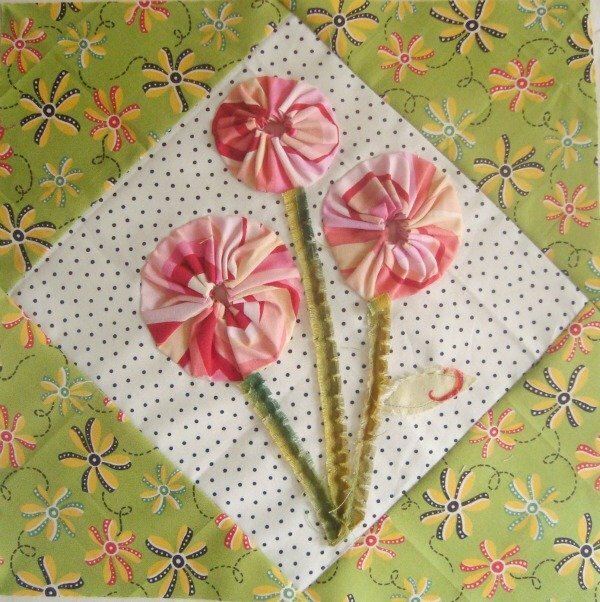 This posies quilt block is a perfect way to get your feet wet with yo-yo’s and appliqueing them to your background. 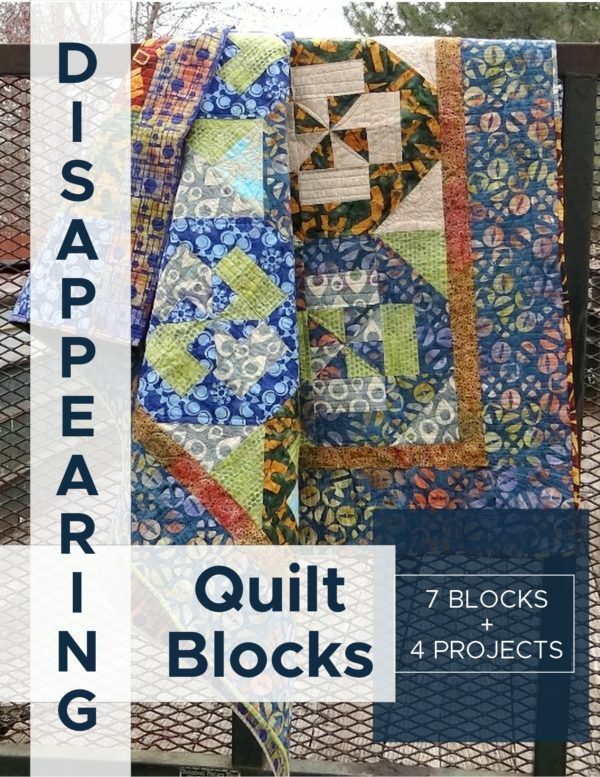 The quilt block is around 10″ or so. 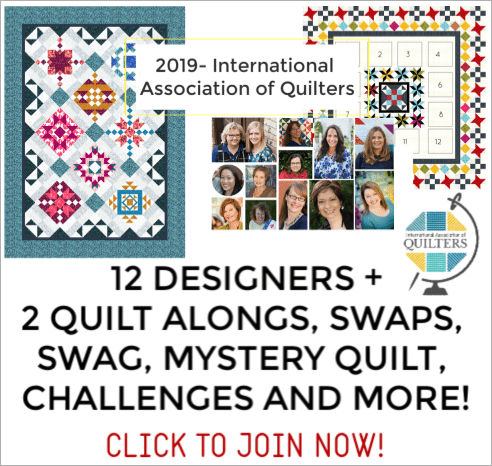 The center of the quilt block is put on point and gives the posie stems a little bit more space so they can be long stemmed. Even though this tutorial was done back in 2010– It shows that I haven’t changed much! lol I am still a big fan of raw edge applique….and take a look at those stems! Raw edge and shagged! 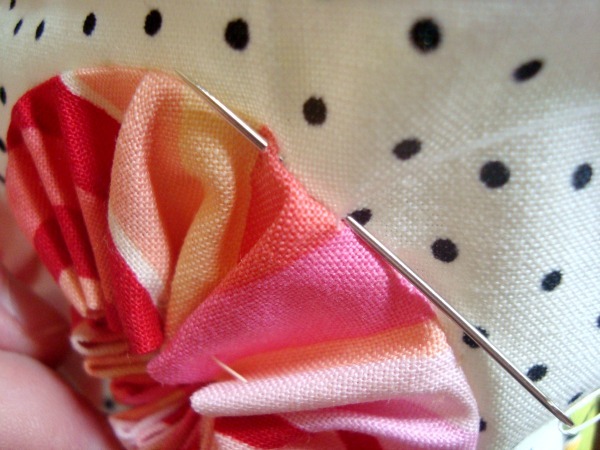 Do you love this or are you a needle turner? 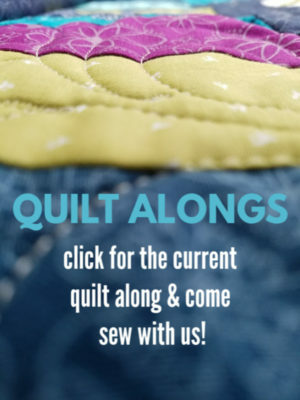 Have you changed your applique style? Clickety Click for the tutorial so you can make your own Posie Quilt Block Yo-Yo’s. 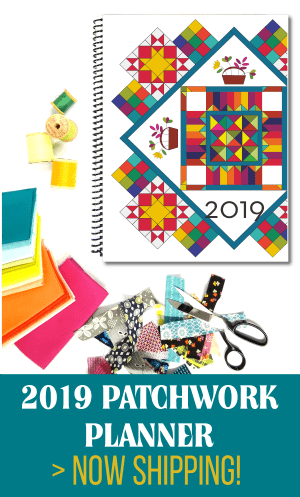 Place yo-yo on the block and stitch along the outside edge. Just catch the edge so it doesn’t show. This is what the back of the block will look like. See how you skip along on the back–not on the front. 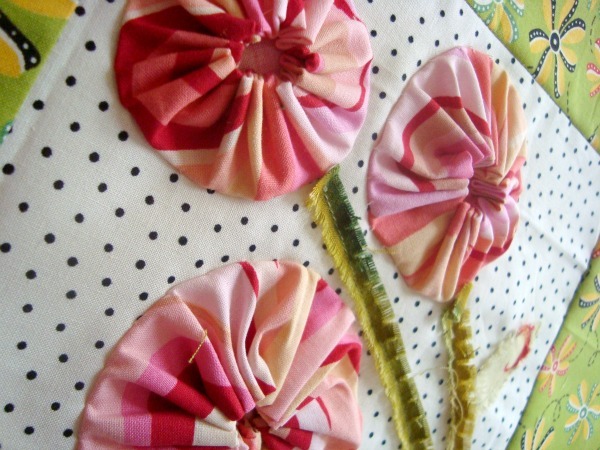 You will repeat this applique method 3 times– one time each for each posie yo-yo. 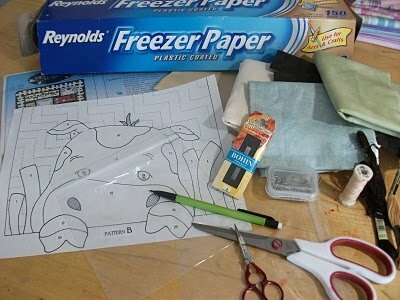 By the last applique, you will be a pro! Very nice. Gotta go make some yo-yos! the stems are fun– total raw edge. 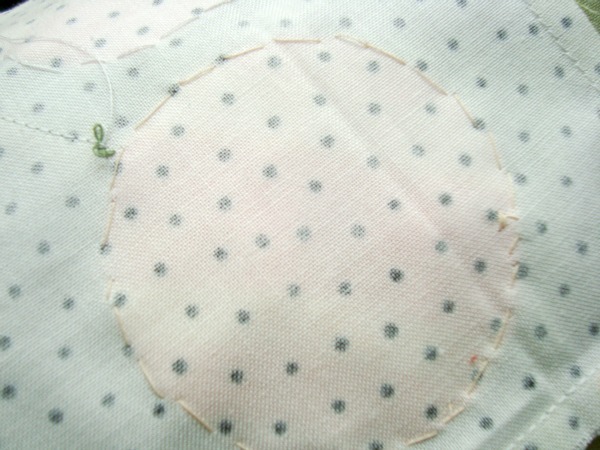 cut your strip, sew down the center and snip and rag. love it!